The Boston Youth Symphony Orchestra String Quartet performed on Show 208, recorded in January 2010. 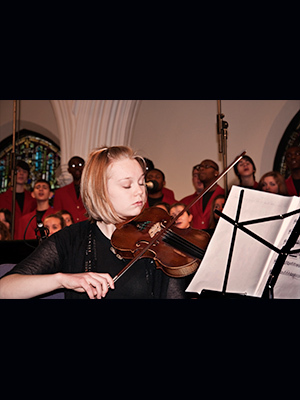 The string quartet is composed of musicians from the Boston Youth Symphony Orchestra and is coached by Kate Kayaian. Its members include 17-year-old violinist Charlotte Malin of Westwood, MA, 18-year-old violinist Kendra Lenz of Hampden, ME, 17-year-old violist Alexandra Morgan-Welch of Andover, MA, and 15-year-old cellist Sasha Scolnik-Brower of Andover, MA.